Things are heating up nicely on the 2016 WCT title race: just a few days ago we had King Kelly smoke everyone in small but perfect Chopes, and a change of yellow jersey as John John squeezed past Gabriel in a nail-biting, near-perfect semi. 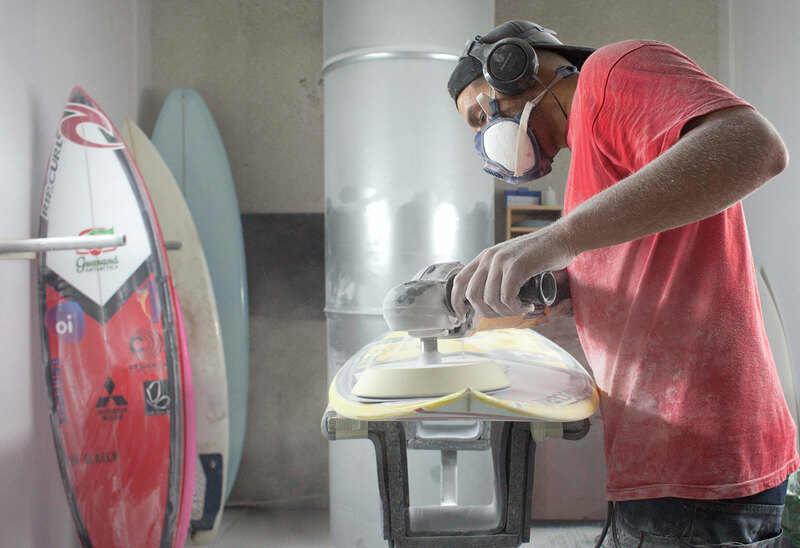 With everything to play for and fingernails bitten down to the stump, it was action stations this week at the Basque Country Surf Company as Johnny put together Gabriel’s Trestles quiver. Lowers, Trestles: easy-to-ride, high-performance, cobblestone-lined pointbreak, located on the border between San Diego County and Orange County, California. Lowers is the premier break in the area, a long and steady right paired with a shorter, quicker and more punchy left: in other words, a spot that needs a really versatile board. 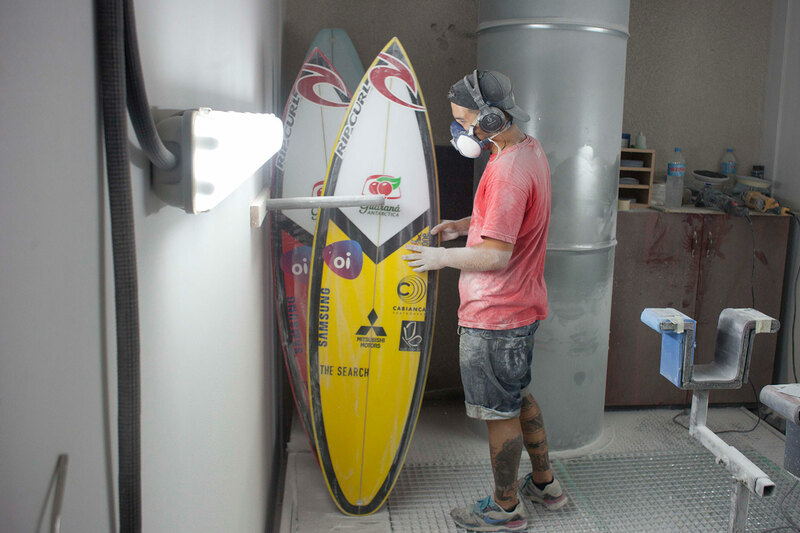 The Medina: Gabriel’s secret weapon for winning decisive heats in marginal conditions – this is the board he won his 2013 Junior World Title and the 2014 Quik Pro Gold Coast on. It’s got a low rocker from nose to tail, keeping it easy to paddle and fast down the line, with a combination of a lively and responsive concave to V bottom, and a stable, flatter dome deck. A little extra width up front and a little shorter overall makes this board perfect for both ripping up the right and boosting huge airs on the left. 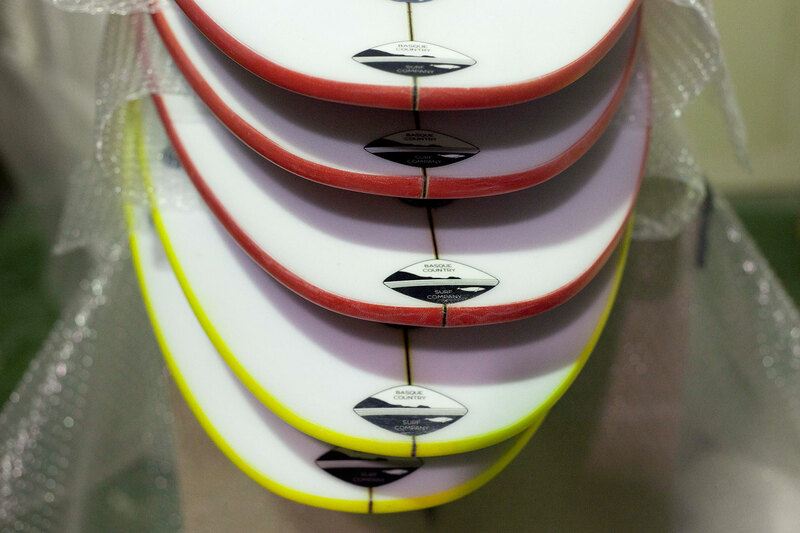 For the Trestles contest, I shaped two models. 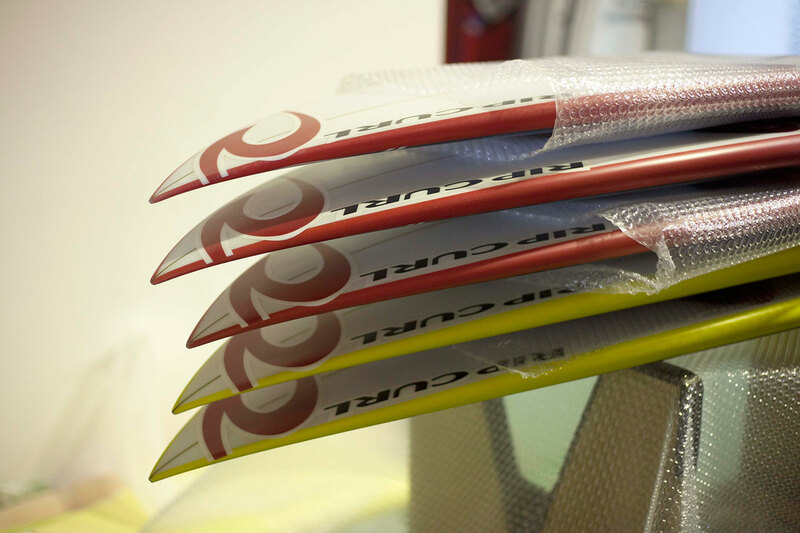 In red The Medina are dialled for chest-high conditions and airs, while the yellow ones are DFK’s – tuned for clean overhead conditions and will bring out the best in Gabriel’s rail game. Johnny, kelly and gula Great work!! !